A Restaurant Review – Another Trip to Crave! I told you that my girlfriends and I went to Crave for dinner on Saturday night to celebrate my bachelorette party, but I didn’t say much else about the meal. Ready for the details? We started by ordering some wine – a bottle of red and a bottle of white. We sipped away while studying the menu and snacking on the complimentary warm bread and butter. After much indecisiveness on everyone’s part, we were ready to order. 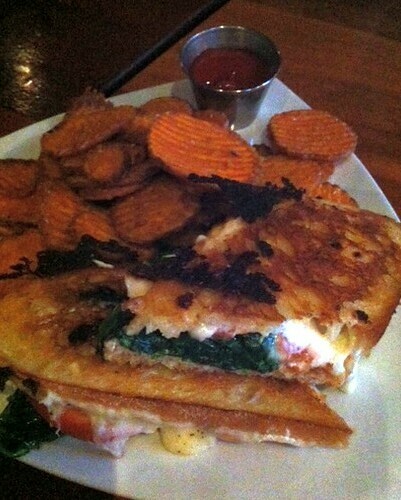 I ultimately decided to order the Spinach and Tomato Grilled Cheese ($9) as an appetizer for the table to share. I knew I HAD to have it one way or another, but most of the girls were ordering some of the more expensive entrees. I felt like I should get something a little fancier too, but didn’t want to give up the grilled cheese. This was a perfect compromise. I could have a few bites of my grilled cheese and also get a fancier dish as my main meal. It was just as good as I remembered and it was gone in no time. Everyone quickly knew why I love this sandwich so much. 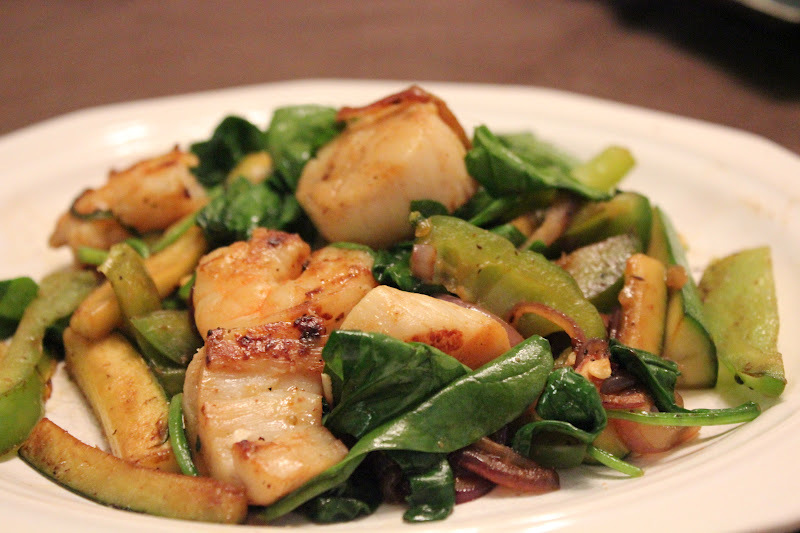 Now, if I thought I was in love with the grilled cheese, I fell even more in love with the Sea Scallops ($25) I ordered for my entree. 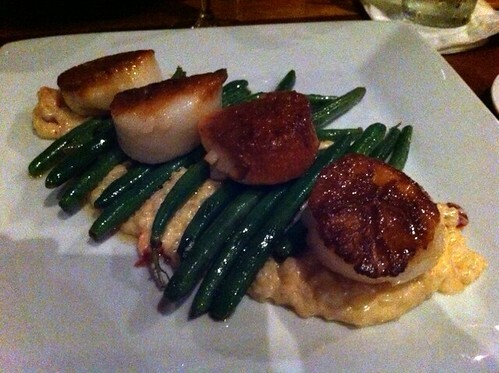 The seared scallops were served with green beans and the most amazing lobster risotto in the world. Actually, I don’t think I can honestly say I’ve ever had any other lobster risotto, so technically I don’t have authority to declare it the best in the world, BUT I promise you…It was heavenly. 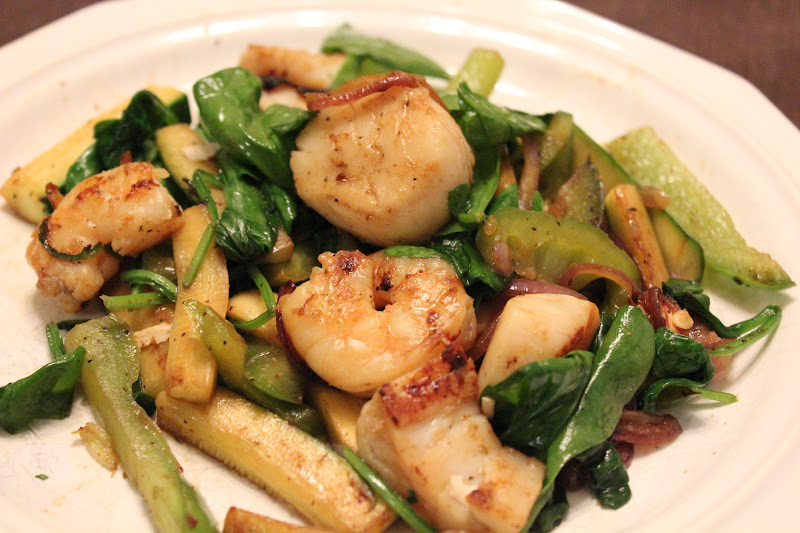 Everything about my dish was above and beyond my expectations. I also sampled a few bites of my sister’s fish tacos and my mom’s black bean salad. Oh yeah. Maybe a few bites of the award winning mac and cheese too. I was overwhelmed with pure goodness for most of the meal. So many delicious things coming from all directions! Although we were just about stuffed by then end of dinner, I couldn’t pass up dessert. 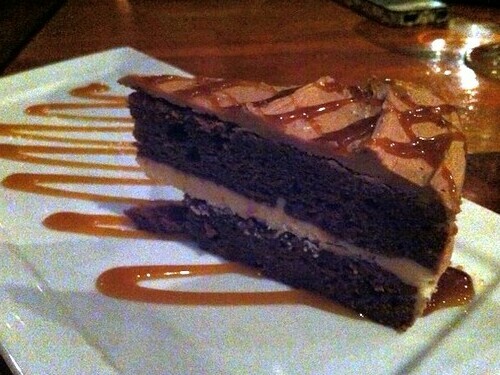 Our waitress recommended the Salted Caramel Chocolate Cake ($8) so we decided to get a slice to split. Thankfully my dear friends let me have more than my fair share of bites, or maybe I was just a little agressive with my fork and forced the others away. 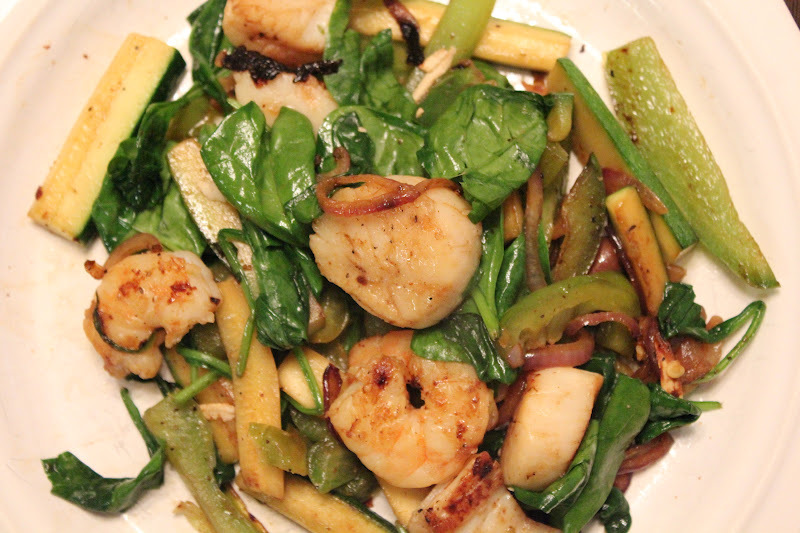 This cake is one of their several gluten free menu items, in case that is of interest to you. I didn’t even realize that until we had just about finished the piece, but you would never know the difference. It tasted like any other gluten-filled cake I’ve ever had. If you can’t tell, I love this place. It’s a Charleston MUST for locals or visitors alike. They have plenty of options to suit any palate or dietary need, so there’s really no excuse not to give it a try.